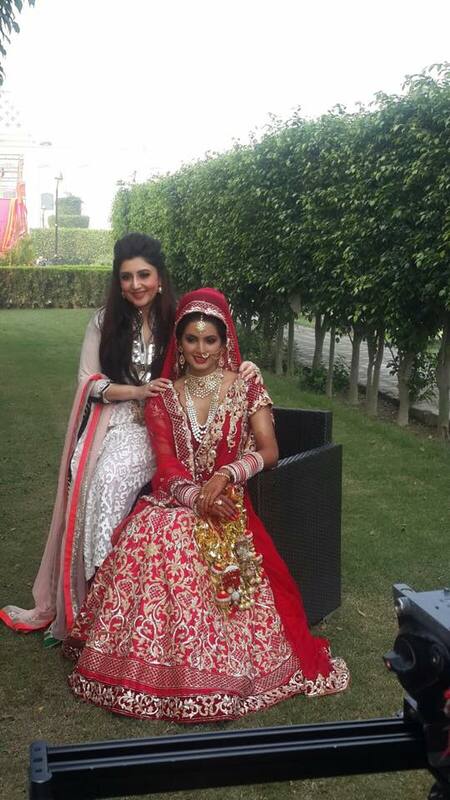 Actress Geeta Basra’s first appearance in her gorgeous bridal outfit just before her wedding. 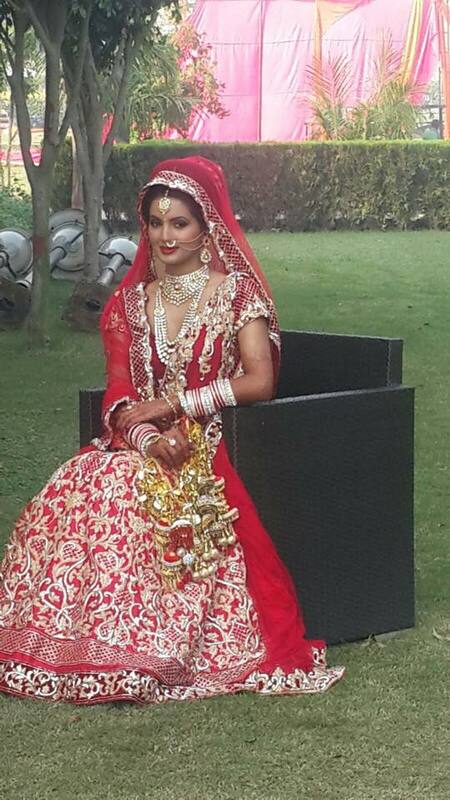 She is wearing traditional red and gold coloured combination lehenga that is embellished with bold pita work and has beautiful tilla embroidery. 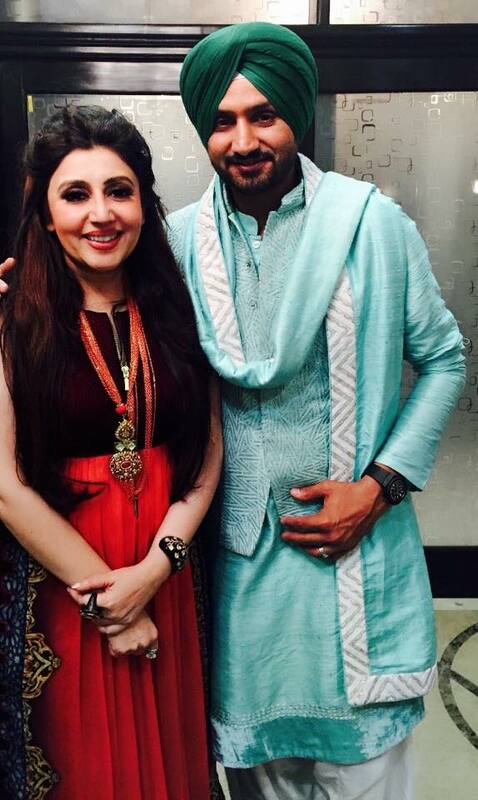 The lovely head dupatta is making her look like a complete Punjabi bride. Her stunning jewellery pieces exclusively crafted by Vododara based Narayan Jewellers include a long and short necklace with a Maan tika and a Nose Ring, beautifully supported with a Hath Panja. The actress is seen her with Designer Archana Kochhar.